Discussion in 'Vita and PSP' started by Borshay, Feb 21, 2017. It's the Vita's 5th anniversary and it's an appropriate time to look back on the hype, the fall, and the rise of the PlayStation Vita. Six years ago, back in January 2011, Sony announced the NGP; Next Generation Portable. It was to be the successor to the PSP. A device that received exclusive Battlefront titles, major Final Fantasy installments such as Dissidia, Crisis Core, War of the Lions and Type-0. Monster Hunter, God of War, Patapon, Metal Gear Solid, Ys, Persona, Splinter Cell, Rainbow Six, Prince of Persia, Disgaea, Mortal Kombat, and PSP had exclusives and a wide variety of multi-platform titles from major franchises. People were hopeful for the PSP successor to to be as well supported as the PSP was. Things were looking good initially. Sony announced franchises like Resistance, Uncharted, LittleBigPlanet, Killzone, Hot Shots, Marvel Vs Capcom, Madden, Mortal Kombat, Assassin's Creed, were all hitting the platform, Including a Bioshock title, which never ended up being anything. Unfortunately the system under preformed and we never saw continued western support. The Vita had an amazing launch line up in my view. Super Stardust Delta, Uncharted: Golden Abyss, Lumines, Hot Shots Golf, Rayman Origins, Wipeout 2048, Ultimate Marvel Vs Capcom. It had a good balance of exclusive and ported titles. After a large launch line up the drought hit with barely anything releasing for months. Releasing 27 titles in February 2012, only 28 titles released on the platform from March through September 2012. 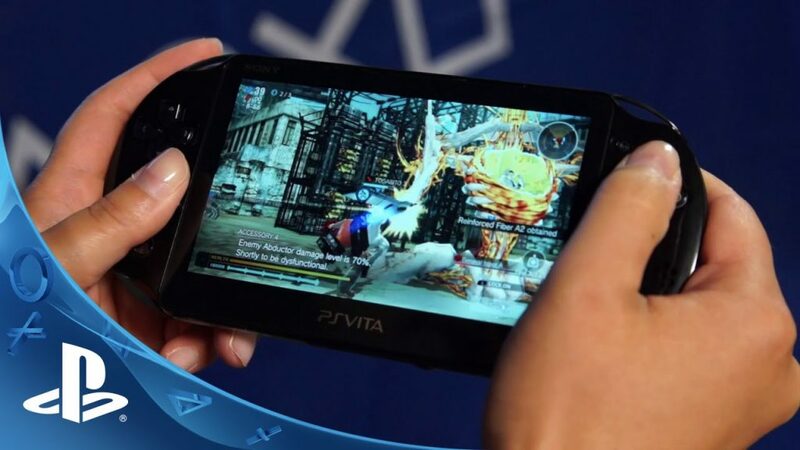 In that span a few of the major titles of the system released, Gravity Rush, and Resistance. Gravity Rush had critical praise and was popular enough to warrant a sequel that recently released on the PS4. Resistance: Burning Skies was suppose to be the first true FPS on a handheld, utilizing the dual sticks on the Vita. Unfortunately the game was short, had poor support, and just wasn't a good game. Poor game releases during a drought obviously did nothing to help the Vita's poor sales. 2012 finished with the exclusive Assassin's Creed III: Liberation, Persona 4 Golden, Call of Duty: Black Ops Declassified, and ports of PlayStation All-Stars, Sonic Racing Transformed, Need for Speed: Most Wanted and some others. It wasn't enough as the Vita finished its first holiday as an afterthought. Sony announced the PlayStation 4, and slowly began to withdraw its support from the handheld. The year still held some excellent titles from Sony, such as Soul Sacrifice, and the superb Killzone: Mercenary and Tearaway. 2013 to me was the beginning of the end of the Vita in North America. Sony only had one major title left to release on the platform. This year was when the platform would begin its transition into the niche platform it became. The year that cemented the Vita as the home of the niche Japanese game. Danganronpa 1 and 2, Toukiden, Hatsune Miku, Demon Gaze, Soul Sacrifice Delta, Mind Zero, Monster Monpiece, Akiba's Trip, Disgaea 4, Sword Art Online Hollow Fragment. It seemed every month had a high quality title releasing in it. The long awaited Borderlands 2 also released on the handheld. Two new Vita hardware released as well. The PS Vita 2000 model which was slimmer, and changed the charge port. Fans split on the OLED vs LCD, one providing superb colors and the other giving a more accurate color. Also, the PS VitaTV released in North America as the PlayStation TV. The thing people may remember most about 2014 may be the debacle around the announcement of Final Fantasy Type-0. Vita and PSP fans clamored to get the Japan only PSP title brought to North America. After flooding requests for the game to #jrpgvita the game was finally announced on the PS Blog as coming to the PS4/XBOX One/PS Vita. Except that was an error, the fans that were vocal and got the game to release in the west were not the ones who were getting the game. The year came to an end with one of the last notable titles from Sony releasing in the West; Freedom Wars. The continued on much like the last one. The Vita kept on getting the niche Japanese titles in the West. Some of the more notable releases were Danganronpa: Another Episode – Ultra Despair Girls, SAO Lost Song, Legend of Heroes: Trails of Cold Steel. Oreshika: Tainted Bloodlines would be the final noteworthy game to come from SCE. Sony announced the first color option in North America since the white Assassin's Creed bundle in 2012. The Aqua Blue option released in November 2015. The beginning of the year released with Digimon World: Cyber Sleuth. Showing that a fan's petition can actually work out from time to time. 2K pitched in a could of ports of XCOM Enemy Unknown, and Civilization Revolution. Axiom Verge, Severed, Attack on Titan, SAO Hollow Realization, World of Final Fantasy, Dragon Quest Builders, Assassin's Creed Chronicles, and Zero Time Dilemma were some of the notable releases from last year. The Vita was announced just before the launch of the Nintendo 3DS, and here we are now 6 years later and the industry is awaiting the Nintendo Switch. The Vita wasn't what we hoped it could be. It's given me one of my favorite franchises in gaming, Danganronpa, so I'll be forever happy about that. Here we are fives years after the launch and even with the poor sales of the device 2017 is still looking like another strong year for the Vita. Ys Origin, Dragon Quest Heroes 2, Akiba's Beat, Tokyo Xanadu, Operation Babel, Toukiden 2, and Danganronpa V3, are all coming out this year. It would be interesting to see what Sony would have done differently given the knowledge of how things played out. For instance, would we have seen PSP Remasters knowing how popular PS3 Remasters have become? There are hundreds of PSP games that fans would love to see get trophies and a slight visual upgrade. I got the PSVita on launch day, as well as the PS TV, the PSVita 2000. Have bought two 64gb memory cards. Also bought my girlfriend the aqua blue Vita. Sony has made some decent cash at my expense, lol. It would be really interesting to see what Sony would've done differently. I really hope we get some PSP Remasters in the future. I really hope that it's library doesn't get forgotten by Sony. I'd kill a few people for Dissidia Doudecim Remaster & War of the Lions Remaster (or straight up port) on PS4/Vita. I'd give anything to play FFVII Crisis Core with trophies. Any reason to go back would be spectacular! I've been playing through FF7 on PS4... It's really making me wanna go through Crisis Core again. I really hope we get a remaster some day. Perfect timing with the remake coming out and all. Do it Enix! Its a great news for every game lover. Every next year PlayStation Network comes up with some new invention with their console. I personally love to play with PlayStation console. And now their subscription card is also giving us so many benefits of automatic game download, discounts, and other offers. That will definitely save your time and money and one can buy this from an authorized store and may some useful references will help you more.